A wedding ceremony is a memorable occasion that just comes once in a lifetime. 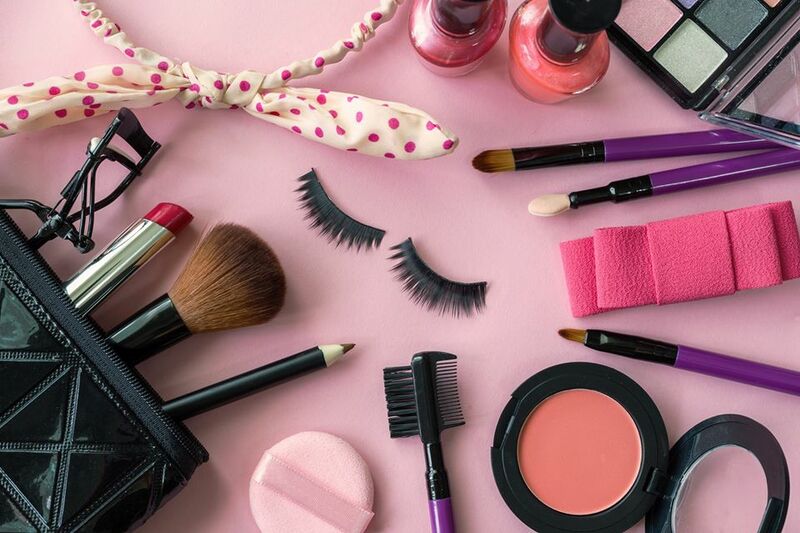 For a bride, each and every moment of this experience is equally special for her as she is getting a completely new life with the love of her life. In Pakistan wedding usually comprise of several occasion including; Dholki, Mehndi, Mayoun, Baraat and walima. Walima is the only event in a wedding ceremony in which a bride comes alongside her husband to the event from her new home. Walima also carries a religious significance for a Muslim wedding as it is the only event in our traditional wedding that is Sunnah. So make your walima an event to be remembered for the lifetime. 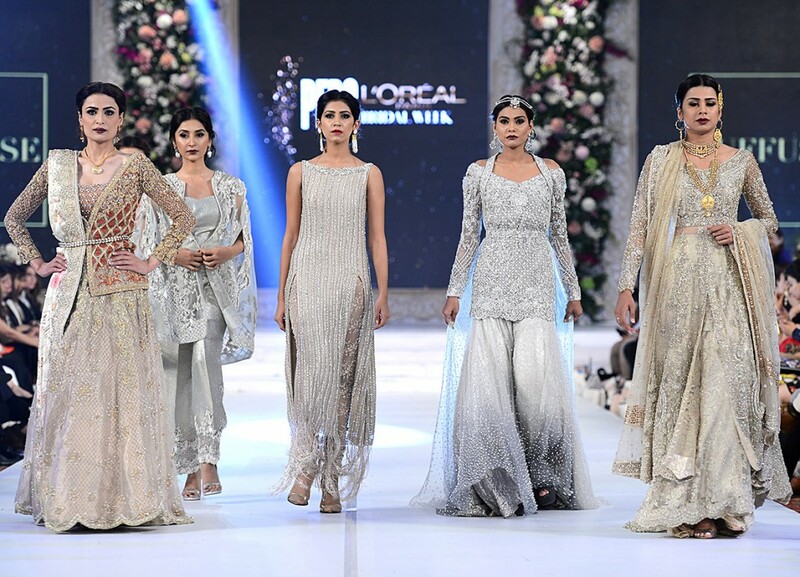 To all bride-to-be out there get the most exquisite bridal wear for your walima. 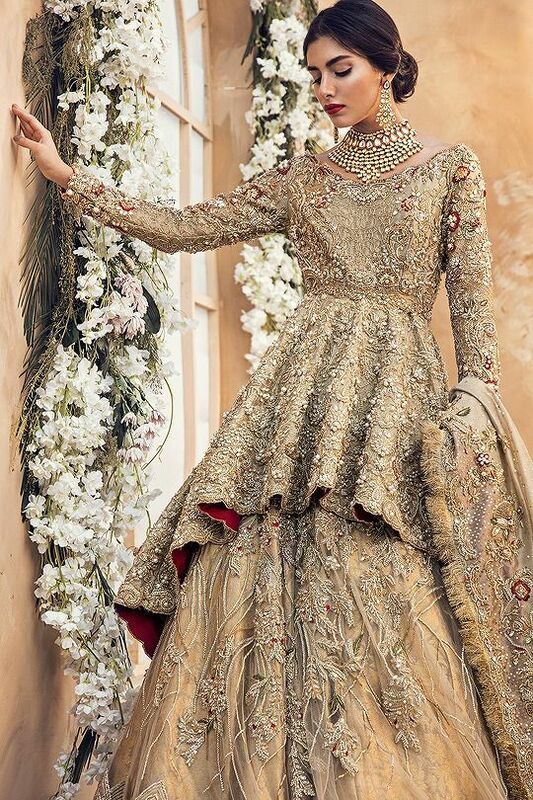 Check out these inspirational walima bridal dresses of 2018. Maxis are the most stylish and breathtaking than any other dress at walima ceremonies for this year 2018. Its royal look and makes the bride’s personalities attractive and spell-bound. Floral theme is something that never goes off the trend, for every bridal dress it will make your bridal look completely eccentric. This floral design with an impeccable combination of colour along with the perfect touch of embroidery will give a simple yet stylish look to your big day of walima. 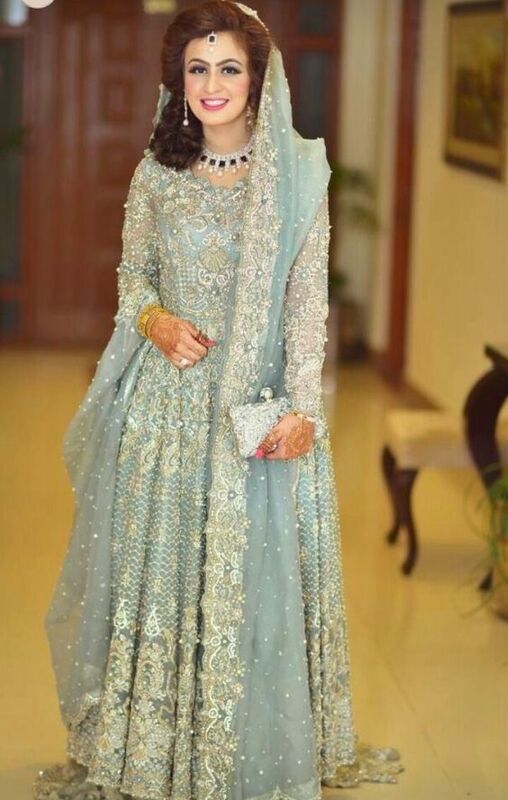 Blue colour delineates elegance and class, this simple yet mesmerizing dress with delicate embroidery that perfectly goes with the classy light blue colour would definitely make a graceful walima bridal look. 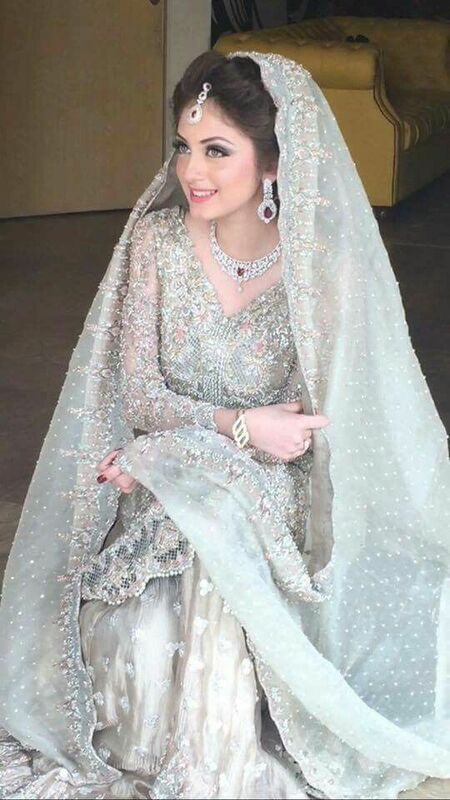 How can we ignore this topnotch classical walima dress that gives the new definition to pink colour? With the trivial touch of peach colour cushioned with sound embroidery, this dress has all the elements to make you look super gorgeous on your walima day. Make the striking look on your big day with this glorious and stunning silver dress. Its exotic colour and needlework that will fulfil all the requirement in making you look super stunning on your walima day.